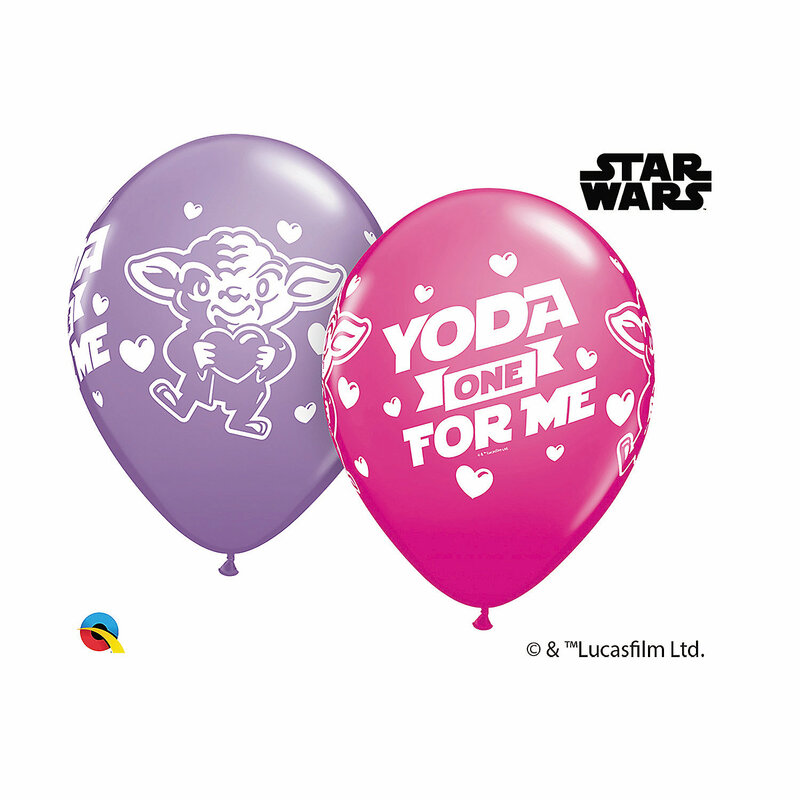 New Star Wars "Yoda One for Me" Valentine's Day Latex Balloon Assortment available now! 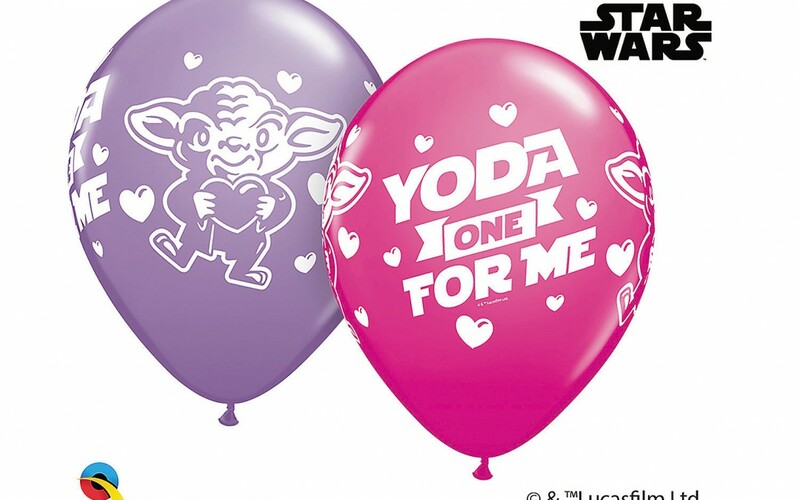 New Star Wars “Yoda One for Me” Valentine’s Day Latex Balloon Assortment available now! Walmart has debuted a brand new Star Wars themed Valentine’s Day “Yoda One for Me” latex balloon assortment set! This set costs $29.39 and shipping is free. As of this writing there are only 5 of these balloon assortment sets left in stock so order soon. Printed with Yoda One for Me, these Valentines Day balloons will hit your Star Wars sweetie right in the heart. Use the pink and purple Yoda balloons as Valentines Day party decorations, or create a DIY balloon bouquet for your valentine. These balloons are the perfect gift for the person who can’t get enough of the lovable, green Jedi master.